Here is a list of top tourist attractions in Lithuania. Only the topmost tourist destinations are presented here. 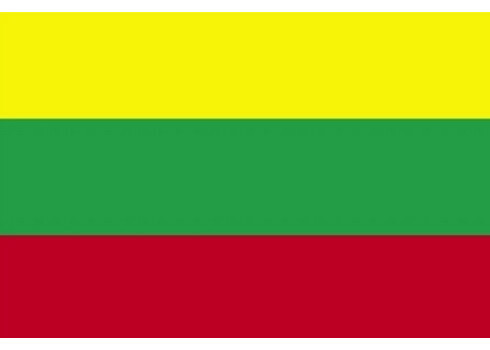 To see other destinations, please check the images from Lithuania section. Curious if any of these place from Lithuania made it our best tourist attractions in the world list? Read the aformentioned article in order to find out. You can also view all tourist attractions in Lithuania and other countries on our tourist attractions map. Vilnius University is the oldest university in the Baltic states and one of the oldest in Northern Europe. It is the largest university in Lithuania. The university was founded in 1579 as the Jesuit Academy of Vilnius by King of Poland and Grand Duke of Lithuania - Stephen Báthory. It was the third oldest university in the Polish-Lithuanian Commonwealth. In the aftermath of the Third Partition of Poland and the November Uprising, the university was closed down and suspended its operation until 1919. In the aftermath of World War I the university saw failed attempts to restart it by Lithuania and invading Soviet forces. It finally resumed operations as Stefan Batory University in Poland, a period followed by another Soviet occupation in 1920, and the less than two-years of the Republic of Central Lithuania, incorporated into Poland in 1922. Following Soviet invasion of Poland in September 1939, the university was briefly administered by the Lithuanian authorities, and then after Soviet annexation of Lithuania, punctuated by a period of German occupation after German invasion of the Soviet Union, administrated as Vilnius State University by the Lithuanian Soviet Socialist Republic. In 1945 the Polish community of students and scholars of Stafan Batory University was transferred to Nicolaus Copernicus University in Toruń. After Lithuania regained its independence in 1990, following the dissolution of the Soviet Union, it resumed its status as one of the prominent universities in Lithuania: Vilnius University. The Hill of Crosses is a site of pilgrimage about 12 km north of the city of Šiauliai, in northern Lithuania. The precise origin of the practice of leaving crosses on the hill is uncertain, but it is believed that the first crosses were placed on the former Jurgaičiai or Domantai hill fort after the 1831 Uprising. Over the centuries, not only crosses, but giant crucifixes, carvings of Lithuanian patriots, statues of the Virgin Mary and thousands of tiny effigies and rosaries have been brought here by Catholic pilgrims. The exact number of crosses is unknown, but estimates put it at about 55,000 in 1990 and 100,000 in 2006. The Gate of Dawn is a city-gate of Vilnius, the capital of Lithuania, and one of the most important religious, historical and cultural monuments in the city. The Vilnius TV Tower is a 326.5 m tower in the Karoliniškės microdistrict of Vilnius, Lithuania. It is the tallest structure in Lithuania, and is occupied by the SC Lithuanian Radio and Television Centre. Pažaislis monastery and church form the largest monastery complex in Lithuania, and the most magnificent example of Italian Baroque architecture in the country. It is situated in the Petrašiūnai elderate of Kaunas, Lithuania, on a peninsula in the Kaunas Reservoir near the Kaunas Yacht Club. Lithuanian Zoo previously known as Kaunas' Zoo is the only Zoo in Lithuania. It is located in an Ąžuolynas oak grove park in the south-western Žaliakalnis elderate of Kaunas. The territory of the zoo is 15.9 hectares. The zoo was initiated in 1935 by Lithuanian zoologist Tadas Ivanauskas and opened on July 1, 1938 with 40 animals. As of 2009, it held over 2,800 insects, fish, amphibians, reptiles, birds, and mammals. It experienced funding difficulties during the 2000s. The Ninth Fort is a stronghold in the northern part of Šilainiai elderate, Kaunas, Lithuania. It is a part of the Kaunas Fortress, which was constructed in the late 19th century. During the occupation of Kaunas and the rest of Lithuania by the Soviet Union, the fort was used as a prison and way-station for prisoners being transported to labour camps. After the occupation of Lithuania by Nazi Germany, the fort was used as a place of execution for Jews, captured Soviets, and others. The Palanga Amber Museum, near the Baltic Sea in Palanga, Lithuania, is a branch of the Lithuanian Art Museum. It is housed in the restored 19th-century Tiškevičiai Palace and is surrounded by the Palanga Botanical Garden. The museum's collection of amber comprises about 28,000 pieces, of which about 15,000 contain inclusions of insects, spiders, or plants. About 4,500 pieces of amber are exhibited; many of these are items of artwork and jewelry. Kaunas Castle is located in Kaunas, Lithuania. Archeological evidence suggests that it was originally built during the mid-14th century, in the Gothic style. Its site is strategic – a rise on the banks of the Nemunas River near its confluence with the Neris River. At the beginning of the 21st century, about one-third of the castle was still standing. Aukštaitija National Park is a national park in northeastern Lithuania, about 100 km north of Vilnius. Established in 1974, it is the oldest of the five national parks in Lithuania. At first it was named Lithuanian SSR National Park to emphasize that it was the first such park in the republic. In 1991, four other parks were established and were renamed after ethnographic regions of Lithuania. The park was renamed after Aukštaitija. Park territory occupies 405.7 km². Ignalina district municipality controls about 50% of the area. Utena and Švenčionys district municipalities control 25%. Strictly protected areas occupy 2.1%. One can enter this territory only with accompanying employee of the park. Over 70 percent of its territory is covered by woods. 80 percent of woods are pine stands, some reaching 200 years old. Sixty-four species of plants, eight species of fungi, and 48 species of birds that are found in the park are included in the Red book of Lithuania. The park is famous for its biodiversity - 59% of all plant species in Lithuania can be found in the park which covers less than 1% of Lithuania's territory. Dzūkija National Park - a national park in Dzūkija, Lithuania, was established in 1991 in order to preserve the pine forests, the landscape, and the villages of the region. The area encompasses approximately 550 square kilometers on the banks of the Nemunas River. The park is the largest protected area in Lithuania. It belongs to both the Association of Baltic National Parks and the Federation of European National Parks. Europos Parkas is a 50-hectare open-air museum located 17 km from Vilnius, Lithuania. The museum gives an artistic significance to the geographic centre of the European continent and presents Lithuanian and international modern art. The Vytautas the Great War Museum is a museum in Kaunas, Lithuania. It was opened on 16 February 1936 and named after Vytautas the Great, Grand Duke of Lithuania. The museum displays historical artefacts pertaining to Lithuania and Kaunas from prehistoric times to the present day, including a large collection of historical weapons. There are expositions dedicated to the military skills of the Grand Duchy of Lithuania, Vytautas the Great Chapel, collections of weapons, firearms, ammunition, army uniforms of various states, defense of the Kaunas Fortress in 1915, and others. The airplane Lituanica, on which Steponas Darius and Stasys Girėnas flew across the Atlantic Ocean in 1933, is on display and remains a popular exhibition. In the great hall of the museum there are copies of the 17th century cannons. Especially large the is a comprehenseve collection of the 18th century pistols. Statues of Lithuanian national renaissance figures, and the Tomb of the Unknown Soldier and eternal flame, are located in the square in front of the museum. During the time of the First Lithuanian Republic, when Kaunas was the temporary capital of Lithuania, national holidays were celebrated in the square. The plaque commemorating book smugglers and distributors Knygnešių sienelė is also situated alongside. The National Museum of Lithuania, established in 1952, is a state-sponsored historical museum that encompasses several significant structures and a wide collection of written materials and artifacts. It also organizes archeological digs in Lithuania. Martynas Mažvydas National Library of Lithuania is a national cultural institution which collects, organizes and preserves Lithuania’s written cultural heritage content, develops the collection of Lithuanian and foreign documents relevant to research, educational and cultural needs of Lithuania, and provides library information services to the public. Martynas Mažvydas National Library goals are accumulation and preservation of the Lithuanian documentary cultural heritage for the future generations and ensuring its access, active participation in the knowledge society creation process, development of its activities and services using modern information technologies with the purpose to assist the learning and development processes of Lithuanian people, providing methodological support for Lithuanian libraries, carrying out research in library science, bibliography, information science and bibliology, evolving library science theory and practice and strengthening the dynamics of integration into the global library science processes. Martynas Mažvydas National Library of Lithuania was founded in Kaunas in 1919. In 1963 the Library moved to the Lithuanian capital Vilnius. In 1988 the Library was named after Martynas Mažvydas, the author of the first Lithuanian book, and in 1989 the Library is officially designated as Martynas Mažvydas National Library of Lithuania. It is the main Lithuanian research library open to the public, and also performing the functions of a parliamentary library. Raudonė Castle is a residential castle in Raudonė, Lithuania. Today it is used as a public school. Bayersburg II Castle, an old Teutonic castle, stood here until the 16th century. The original castle is the setting of an East Prussian legend known as "The White Maiden of the Bayersburg". Raudonė was a royal manor, which Grand Duke Sigismund II August gave to Prussian merchant Hieronymus Krispin-Kirschenstein. His son built a Renaissance style manor house with a 110-foot cylindrical tower on the grounds of the old castle at the end of the 16th century. The 18th century Polish owners of the Raudonė estate, the Olędzki family, commissioned Laurynas Stuoka-Gucevičius to renovate the castle. The next owner, the Russian Prince Platon Zubov, acquired the estate in the first half of the 19th century and his family transformed the castle yet again. Their architect was Cesare Anichini. The Neo-Gothic style building was built in 1877 as part of the castle building complex. It was used as a warehouse and a living place for servants. In 1923, the building was turned into mill. Today the whole complex is an example of 19th-century Neo-Gothic architecture. The last owners of the castle from 1898 to 1937, was Sophia Waxell, a grand-daughter of Sophia von Pirch-Kaiserov who was niece of Platon Zubov, and her husband from Madeira, José Carlos de Faria e Castro. After early death of Sophia, the castle belonged to her husband, later on to her only son, Joseph Carlo de Faria e Castro and his wife Olga Kordashevski and their children Nikolai, Vladimir and Alexander. In 1937 the castle became property of the National Bank of Lithuania. Žmuidzinavičius Museum, commonly known as the Devils' Museum, is a museum in Kaunas, Lithuania, dedicated to collecting and exhibiting sculptures and carvings of devils from all over the world. As of 2009, its holdings encompass about 3,000 exhibits. The collection was initiated by painter Antanas Žmuidzinavičius. A memorial museum was established in his house after his death. At the time the devil collection had only 260 sculptures. As the collection grew, enriched by a number of gifts presented to the museum by its visitors, a separate three-storey extension was built in 1982. The devils, collected from different cultures, are diverse: some are just works of art, while others are incorporated into useful objects, some represent folk myths, while others express modern political ideas. For example, one sculpture depicts Hitler and Stalin as devils in a dance of death over a playground littered with human bones. Biržai Castle is a castle in Biržai, Lithuania. Construction of the earth bastion-type castle started in 1586 by the order of Krzysztof Mikołaj "the Lightning" Radziwiłł. In 1575, preparing for this construction, a dam was built on the Agluona and Apaščia rivers at their confluence, and the artificial Lake Širvėna, covering about 40 km², was created. Major castle building works were finished in 1589. Kuršių Nerija National Park is one of the five national parks in Lithuania. It was established in 1991 to protect the unique ecosystems of the Curonian Spit and Curonian Lagoon. Kuršių Nerija National Park is protected by the state, under the Lithuanian law of Protected Areas. Since 1997 it is a member of EUROPARC federation. The Park has Category II in the classification of the . Trakai Historical National Park is a national park in Lithuania. It was designated in 1992 to embrace the historic city of Trakai, some 25 kilometers west of Vilnius, and the forests, lakes, and villages in its environs. It is the only historical national park in Europe. The Tadas Ivanauskas Zoological Museum was established in Kaunas, Lithuania, in 1919 by Tadas Ivanauskas. The museum collects and exhibits various animals: hunting trophies, stuffed animals, insect collections, skeletons, dissections. It is also an educational and research institution that has four branches: bird ringing stations in Ventė Cape and Juodkrantė, nature reserves in Čepkeliai Marsh and Lake Žuvintas. Verkiai Regional Park is one of the Regional Parks in Lithuania. It is located almost entirely in Verkiai elderate of Vilnius municipality. The park was established in 1992 in order to protect natural complexes of the Green Lakes and cultural complexes of Verkiai Palace and a park, Kalvarijos and Trinapolis as well as other valuables. The park occupies 2,673 ha. Forests cover 76.5%, reserves occupy 52.7%, and 23.9% of the territory is designated for recreation. Verkiai Calvaries have been established in 17th century. The Calvaries were completed in 1669 by the supervision of Dominican monks. They have been constructed exactly following the plan of Jerusalem, with the distances, water bodies and elevations being very close to the original. New chapels were constructed in the 18th century in Baroque style. Vepriai Way of the Cross consists of 22 chapels, 7 wooden and brick gates, and two church ensembles. The Calvaries have been visited by Christian worshipers from Vilnius region and abroad yearly in Pentecost. Almost all stations were completely destroyed in 1962 under the Soviet rule. After regaining the independence the reconstruction was started. Last chapels were rebuilt in 2004. Today the entire complex is reconstructed and is proclaimed an architectural monument of national significance. The Lithuanian Art Museum was initially established in Vilnius in 1933 as the Vilnius City Museum. It houses Lithuania's largest art collection. Žemaitija National Park is a national park in Lithuania. It is situated on Žemaičių Highlands, 45 km from the Baltic Sea. Lakes cover more than 7% of its territory. Lake Plateliai is the largest lake. The town of Plateliai, situated on the shore of the lake, is the seat of the park's administration and a popular tourist destination. Ąžuolynas is a public park in Lithuania's second largest city, Kaunas, in the Žaliakalnis neighbourhood. The park covers about 63 hectares and is the largest urban stand of mature oaks in Europe. Vydūnas Alley serves as the park's northern border. It is a popular recreational destination for the inhabitants of Kaunas. Most of its trees are oaks ranging in age from 100 to 320 years old, but it also holds linden, birch, and maple trees. The current park is what remains of a much larger oak forest that grew around the city, and was connected to the forests in Karmėlava, Rumšiškės and Kaišiadorys. Those forests were cut down during the 14th, 15th, and 16th centuries, and the timber was used in city buildings, bridges, castles, and ships. The section of the forest between Kaunas and Garliava was cut down in the 19th century. A valley in the park is named for the poet Adam Mickiewicz, who rested there during his days as a teacher in Kaunas schools. In 1938 Tadas Ivanauskas established the Kaunas Zoo in the northern corner of the park. A year later Kaunas Sports Hall, which hosted Eurobasket 1939, was established near Ąžuolynas. The park's infrastructure was reconstructed in 1955; in 1966 the Valley of Songs was installed. The park is used extensively for sports activities of students of the Lithuanian Academy of Physical Education located nearby. A section of Ąžuolynas, Vytautas Park, contains a number of recreational attractions for children. The Kretinga Museum, also known as Kretinga Manor, is located near the Baltic Sea in Kretinga, Lithuania. Originally a private estate, it was converted to a museum in 1992, and now contains a number of archeological finds, fine and applied art collections, folk art, and ethnographic exhibits, as well as a restored orangery. Nearby is a sculpture garden featuring a reconstruction of a Lithuanian solar calendar. The museum is operated by the Kretinga district municipality. The Lithuanian Museum of Ancient Beekeeping, established in 1984 near Stripeikiai in northeastern Lithuania, displays the history of beekeeping in the area. The museum, part of Aukštaitija National Park, was founded by the beekeeper Bronius Kazlas. As of 2006, the museum consisted of six buildings, about 500 displays, and 25 sculptures. In addition to illustrating the history of beekeeping in Lithuania, some of the museum's wooden sculptures themselves contain beehives. The sculptures pay homage to the honeybee's place in worldwide mythology and folklore, including Egyptian and Native American figures as well as the Lithuanian god Babilas and goddess Austėja. They were carved by Teofilis Patiejūnas and Ipolitas Užkurnis. The displays include glass-sided hives that enable visitors to watch the bees at work, tool collections, and illustrations of the role that bees play in pollination. The wide variety of hives includes many tree trunks, which were used from the 15th century until the beginning of the 20th century. The Lithuanian Veterinary Academy claims that Lithuanian bees are especially peaceful. They constitute a sub-species of the European honey bee; they are smaller than Italian bees and larger than the Caucasian honey bee. The Vilna Gaon Jewish State Museum in Vilnius, Lithuania is dedicated to the historical and cultural heritage of Lithuanian Jewry. The museum was established in 1989 by the Lithuanian Ministry of Culture. Over the course of the following years, its exhibition items, many from earlier Jewish museums in Lithuania, were brought together. It received its current name in 1997, commemorating the 200th anniversary of the death of the Talmudic scholar Vilna Gaon. Its five branches focus on various aspects of history and culture. The Tolerance Center's collections include works of sacred, modern, and traditional art along with historical materials; The Green House is a Holocaust exhibit; the Paneriai Memorial is dedicated to the Paneriai Massacre; the Jacques Lipchitz Memorial Museum in Druskininkai exhibits his lithographs; and the former Tarbut Gymnasium displays the history of Lithuanian Jews in the interwar and Nazi period. The museum acquires and systematizes materials, issues publications, conducts research, organizes permanent and temporary exhibitions, and sponsors educational activities. The Historical Presidential Palace is a Neo-baroque building in the Old Town of Kaunas, Lithuania that served as the Presidential Palace during the interwar years. Today, the palace is a branch of the M. K. Čiurlionis National Art Museum. The Kaunas Museum for the Blind in Kaunas, Lithuania opened in 2005. It was the first museum for the blind in the Baltic States and one of the first in Eastern Europe. The museum, located in the catacombs underneath St. Michael the Archangel Church, was created during the course of an international exchange project, "Catacombs of the 21st Century", organized by students at the Kaunas University of Technology, under the supervision of the sculptor Robertas Antinis. Students from Greece, Turkey, and Italy also participated in the process. The exhibits can be perceived through sound, smells, and touch. Due to its sole reliance on the parish for access, the museum was frequently inaccessible during the late 2000s. The Povilas Stulga Museum of Lithuanian Folk Instruments is located in the Old Town of Kaunas, Lithuania. Its permanent collection contains Lithuanian and international musical instruments, recordings, books, placards, photographs, and letters. Its musical instrument collection includes various versions of the kankles, harmoniums, reeds, seven-string guitars, and a bass constructed using a table. The museum organizes exhibitions of national art, photography, folk art, domestic tools, musical instruments, and traditional clothing. It also hosts concerts and recitals and sponsors children's music lessons and excursions. Burbiškio dvaras is a Radviliškio district estate.